Venice is the city of romance by excellence. The haze that envelopes it, caused by humidity, creates a dream-like aura so that it almost looks like Venice does not really exist, that it is just a figment of the imagination. 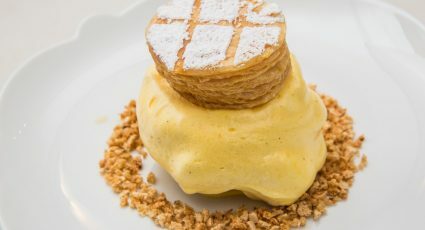 To take full advantage of this beautiful city, we thought of 5 experiences for couples to do during a romantic getaway. By observing the beauty of the buildings and narrow streets, you will understand why Venice has always been one of the most beloved cities in the world. 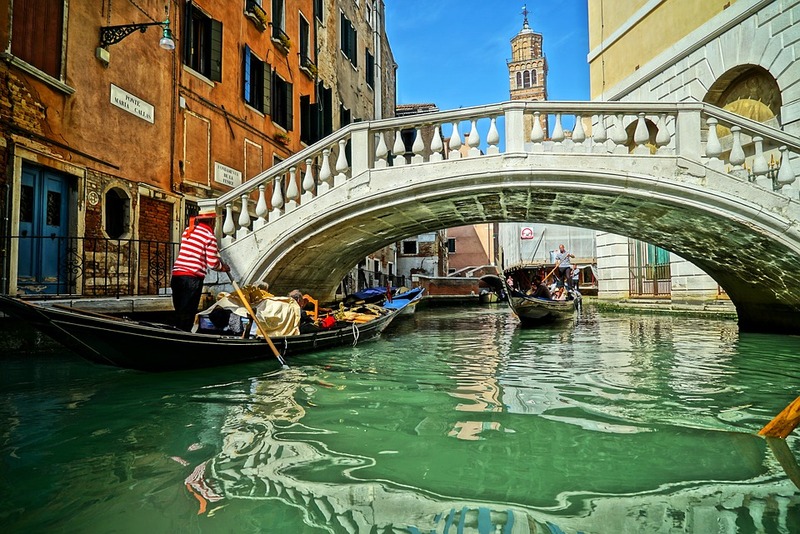 There are 354 bridges in Venice! 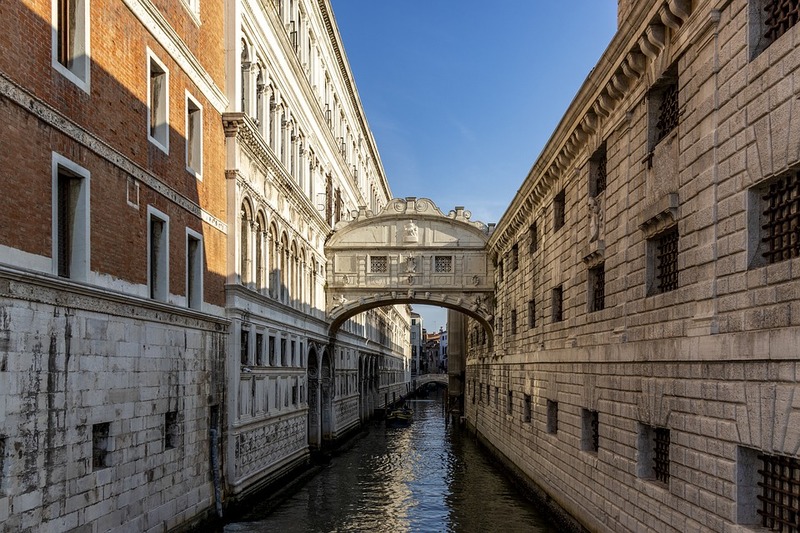 The most famous is the bridge of “Sighs”. But not everyone knows that the sighs were not from lovers who pledge their eternal love, but rather from the convicts who were brought into nearby prisons. 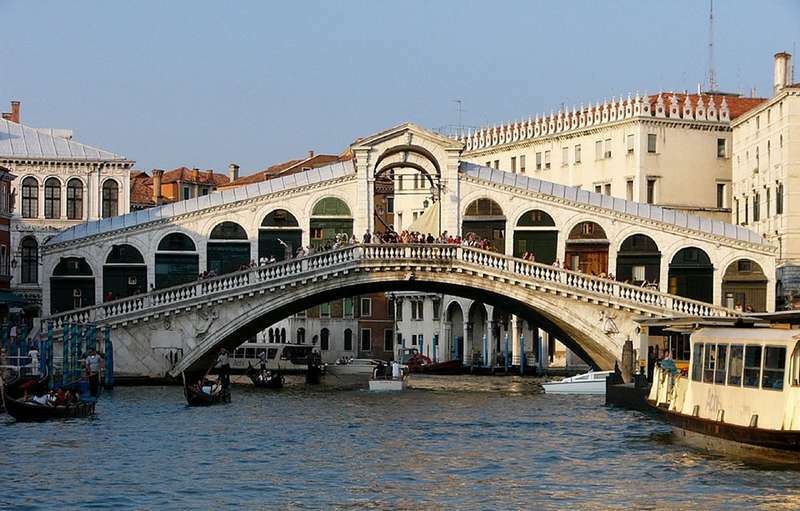 Rialto was the commercial centre of the city and its bridge connects the two banks of the Grand Canal since 1180. The view from one side and the other, from the parapets of the Rialto Bridge,is quite expansive, making it the most photographed by tourists. If you want to see the city from a different angle, take a boat trip on the Grand Canal. The vaporetto leaves from Santa Lucia station and navigates all the way to the Piazza San Marco. The buildings that overlook the Grand Canal all face the River, and during your ride, they will do their best to capture your attention. 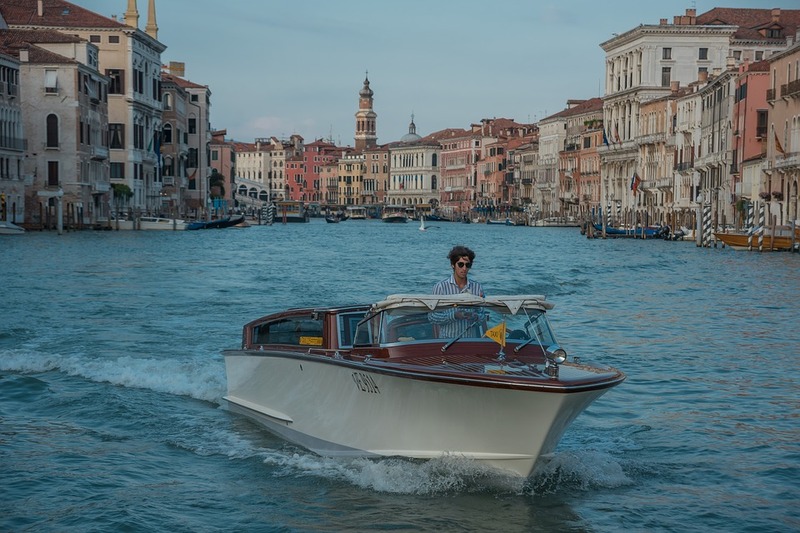 You cannot leave Venice without touring the canals on the best-known boat in the world: the gondola. This way, you can observe the hidden treasures and peculiarities around the city and appreciate the tranquility of the canals, with only the squeak of the row hitting the water breaking the silence. 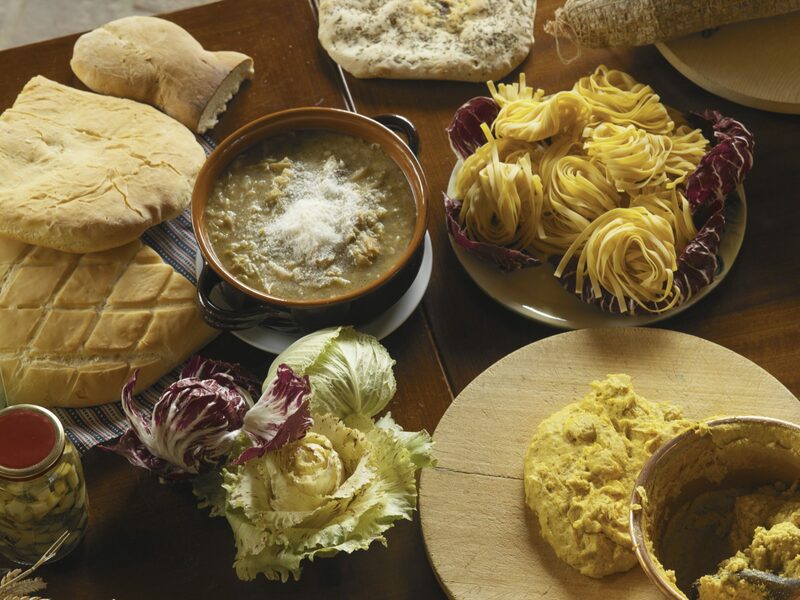 “Andar par ombre” is a Venetian saying which means to eat something tasty, accompanied by a very good glass of wine. 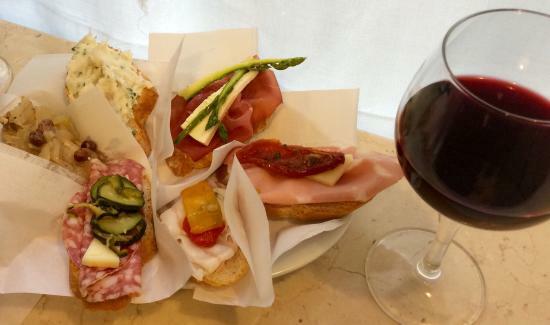 Appetizers, called “cicchetti“, are undoubtedly the highlight of the menu and must be enjoyed with an “ombre wine”. Yes, but which one? 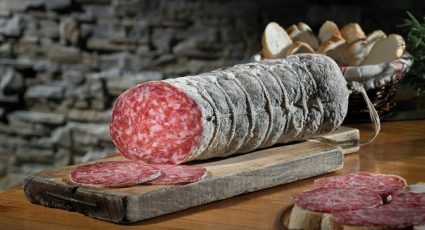 What about a Raboso DOC Piave? 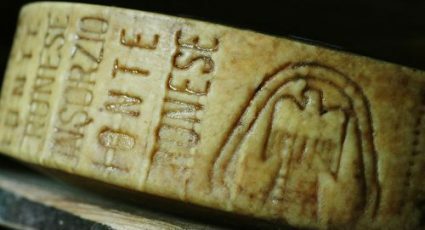 It is among the great Italian red wines, excellent with red meats, grilled meats and aged cheeses. 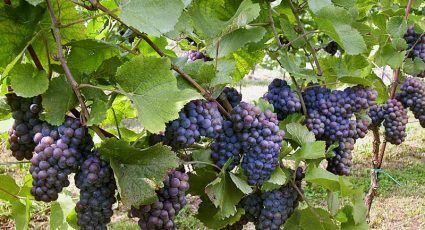 Its dry, austere and fruity taste will pleasantly surprise you!